A fix offered repeatedly on the Microsoft support forums for users having problems with SkyDrive on Windows 8.1 has been removed and backtracked on. In a permanent message on the SkyDrive section of its support site, Microsoft now offers detailed steps instead for affected users. At the end of the post it also disavows a workaround its officials had previously been dispensing (involving backing up and deleting root files) that did not actually work with the software. SkyDrive, Microsoft's cloud storage service, is a key product for the company as it transforms itself from a provider of packaged desktop applications into a provider of cloud-based software and services. 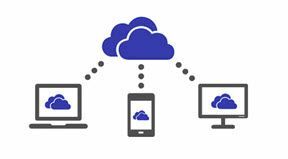 SkyDrive is the underlying, common cloud storage service for Windows, Office and other major Microsoft consumer products. A version called SkyDrive Pro is a key component of enterprise products such as the Office 365 cloud email and collaboration suite. A Microsoft spokeswoman said on Tuesday that the company makes "every effort to ensure our support forums are functioning as a source of helpful and reliable support for our customers, which means we periodically update information to stay current. To this end, we updated the instructions for ease of use and clarity." The note appeared after the support site had gained more than 120 active threads discussing SkyDrive malfunctions. The company had previously addressed the problem by dispatching forum moderators and officials to individual threads. Aside from the workaround that has now been backtracked on, forum moderators didn't seem able to pinpoint a cause or offer a solution for the problems people had.